Home / Health / How to Get Rid of Blackheads? In this article, we will discuss ways to get rid of blackheads. Blackheads have always been such a common problem вЂ“both for men and women. 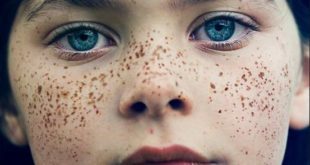 As we cross puberty and keep growing older, these blackheads become a common occurrence more than ever before. While blackheads donвЂ™t signal to any serious issue, all they signal towards being a lack of proper hygiene and cleanliness on the face and other parts where they occur. These blackheads can be seen more commonly in areas like the chin, nose and the back. But what is important to know here is that one must have patience in order to get rid of blackheads. Forcefully taking them out of the skin will only result in damage to the skin. 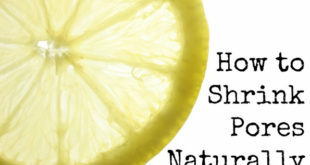 Some natural remedies work best here to get rid of blackheads and to help protect the skin. These remedies help in taking the blackheads out of the skin and help clean the pores thereby cleaning the area effectively. 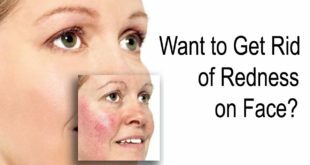 Making use of ready-made strips to get rid of blackheads should be your last option when these remedies work better than anything else at the ease of your comfort and home. 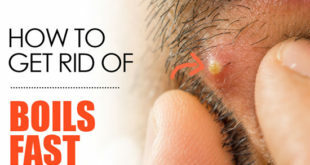 Blackheads are nothing but clogged hair follicles that are visible on the surface of the skin. They occur when dead skin cells, grime, pollutants, sebum, and germs accumulate in the open pores and form a plug in the skin. They tend to accumulate inside the pores; the excess oil gets stuck inside the pores and gets oxidized. It is due to this reason that they turn black or brown in color. If you remove blackheads at an early stage, you can prevent acne from developing. 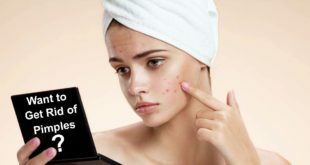 Build-up of propionic bacterium acnes on the face or the skin. Irritation of hair follicles caused by dead skin cells also responsible for blackheads. Certain drugs like androgens and corticosteroids also lead to blackheads. Too oily skin is a primary reason for blackheads on the face and skin. 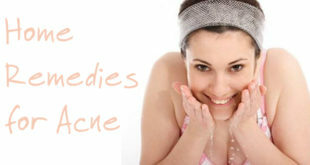 Hormonal changes in a womanвЂ™s body during menstruation, pregnancy and teen years also leads to blackheads on the skin. Taking birth control pills for too long. Using baking soda is damn easy for this purpose. Baking soda not only helps to get rid of blackheads but also helps to remove the impurities from the skin. Mix two to three teaspoons of baking soda with one teaspoon of mineral water to make a smooth and thick paste. Apply this on the affected areas and massage gently for about 5 minutes. Let it dry and then wash with lukewarm water. Do this at least twice a week. Baking soda is an effective remedy that helps to get rid of blackheads faster. However, make it a point not to do it more than twice a week. Orange is a rich source of vitamin C. It not only helps to get rid of blackheads really fast but also helps to make the skin glow and give a fairer complexion. To sue orange peel, take an orange and remove the peel. Now keep the orange peel dry, maybe for a day. When it dries up, use the peel to scrub your nose or the other affected areas. The peel works great to get rid of blackheads almost instantly and helps to give a natural glow to the skin. Use it twice or thrice a week to remove blackheads and notice the effect yourself. Using cinnamon to get rid of blackheads is damn easy and it falls under one of the best blackhead removal tips and tricks. However, care should be taken not to use an excess amount of cinnamon as that can harm the skin. 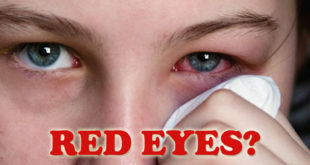 For this remedy takes one to two teaspoons of honey and cinnamon powder and mix them well. Now apply this paste to the parts where you have acne and leave it overnight. In the morning, wash off with lukewarm water. Practice this, at least for the next 10 days to see effective results. 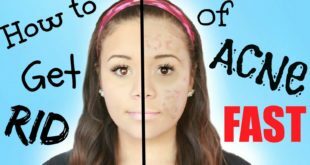 This is a very effective remedy to get rid of blackheads really fast. Using tomato for getting rid of blackheads is a really excellent remedy. Take a tomato and just mash it with a fork or with your hands. Just apply the pulp and the juice over the face and the affected areas. Massage it gently for 2 minutes and then wash off your face with lukewarm water. 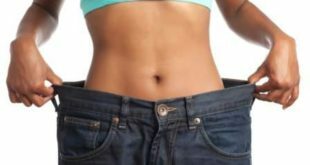 You can do this every day for 10 days to see effective results. However, if you have dry skin, combine a little olive oil with tomato so that it doesnвЂ™t dry out your skin too much. Honey and milk when combined together make for a powerful solution to get rid of blackheads naturally. Take one tablespoon of honey and mix it with one teaspoon of milk. Now put it in the microwave and heat it a little to form a smooth paste. Wait till the solution is comfortably warm to use. Apply it over the affected areas and put a cotton strip on it. Let it dry for about 20 minutes. With the help of the cotton strip, take the paste off your skin. The blackheads will get removed with this. This is a very effective remedy to get rid of blackheads really fast and makes your skin supple and smooth at the same time. 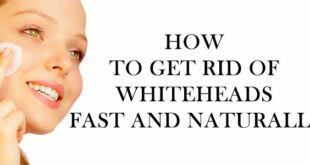 Egg whites are commonly used to get rid of blackheads quickly. These not only help you to remove your current blackheads but also reduce the chances of further blackheads. Here just break an egg and separate its egg yolk and egg white. Now wash your face and pat it dry. Take the white part of the egg and apply a thin layer of this to your face or your nose. Let this layer dry nicely on the face for some time. When it is fully dry, apply some more it and then let this also dry. Like this apply the egg white at least 3-5 times on your face and nose and let it dry fully. Then wash your face nicely with some cold water and pat dry with a towel. Do this once daily to get rid of blackheads on nose naturally. It is one of the best remedies for this purpose and works wonders. A mixture of sugar and olive oil is one of the best remedies for getting rid of blackheads on nose. 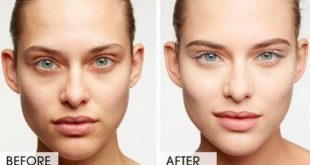 This remedy is widely used by many people all over the world and is one of the most favored remedies as well to get rid of blackheads on nose permanently.В Here just make a mixture by mixing one teaspoon each of granulated sugar and pure organic olive oil. Now mix this well and apply it to the nose. Rub in circular motions gently on the nose for about two minutes. Then wash your face with some lukewarm water. Doing this once or twice daily is enough to get rid of blackheads really quickly. Olive oil and sugar is one of the best packs you can use for this purpose, use it to see the numerous benefits. Epsom salt is another effective remedy to get rid of blackheads most effectively. To benefit from Epsom salt, mix one teaspoon of Epsom salt with a few drops of iodine and some hot water. Let the salt dissolve completely. Let the mixture cool down a bit till it is comfortable to sue. Now use a cotton ball to apply the mixture over the affected area. Let it dry for about 10 minutes. Then wash off with lukewarm, water. Do this twice or thrice a week and watch the results after two weeks or so. This is one of the widely practiced remedy to get rid of blackheads, try it to believe it. You can use apple cider vinegar sparingly on its own, applying it daily to your face as a toner. 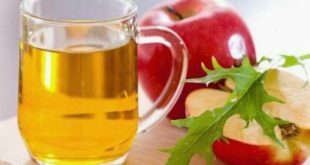 Apple cider vinegar contains acetic acid known to break down tough build-up in the skin and also balances the pH in your body to prevent further blackhead and acne issues.В A lot of people world over use apple cider vinegar to get rid of blackheads effectively and are known to swear by it for this purpose. Apple cider vinegar works like a magical product on the skin making your skin smooth and preventing it from acne and pimples. Here a mixture of mint and apple cider vinegar also works really well. You can also make a mixture of apple cider vinegar and some mint leaves to make a toner that offers a cooling sensation that also helps to tighten the skin. Bentonite is particularly good at drawing out oils and other impurities that get locked in the pores. 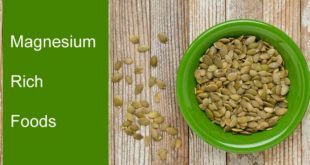 It is a really rich substance thatвЂ™s been used for centuries to treat a number of conditions, mainly skin related. By applying it as a mask, the skin soaks up the minerals while the clay draws out blackheads. It is actually one of the best products for getting rid of blackheads naturally. Here wash your hands first. Mix about a tablespoon of the clay with just enough water or apple cider vinegar to form a thick paste вЂ“ it should be thick, but not so thick that itвЂ™s difficult or impossible to apply. Now apply a thin layer of paste to your face and allow it to sit until dry. Rinse with lukewarm water and moisturize as you normally would, preferably with an all-natural cleanser. Doing this two to three times a week is the best thing to do. Turmeric helps to reduce skin infection and also helps to make your skin glow. It is also another natural remedy to get rid of blackheads and will give you long term results here. For this take 2 teaspoon of turmeric and 3 teaspoons of mint juice. You can more or less according to your needs. Apply this paste all over your skin and leave it for ten minutes and wash your skin. You can do this every day or at least four times a week to get rid of blackheads really fast. Turmeric almost acts like a natural medicine here.В Its key component, curcumin, is antimicrobial in nature and removes the bacteria present in the skinвЂ™s pores.В Turmeric also has anti-inflammatory and antioxidant properties, which further improve the texture and health of your skin while mint has cooling effects on the skin. This oil unclogs pores and helps you to get rid of blackheads effectively. When it is applied, it decreases the production of excess sebum that was causing the clogged pores. Jojoba oil is an essential oil that closely resembles the skinвЂ™s natural oil. Make sure you are using pure organic jojoba oil for this purpose though. This oil works best for combination skin and dry skin. Here rinse your face with warm water and pat dry. Take a little jojoba oil and massage it for a few minutes on your skin. Leave it on for 5-10 minutes and rinse with warm water again. You can also add a few drips of tea tree oil to increase the benefits here. Do this at least twice a day for getting rid of blackheads. Tomatoes, cabbage, cauliflower and broccoli. Berries like strawberries, cranberries, blueberries and raspberries. 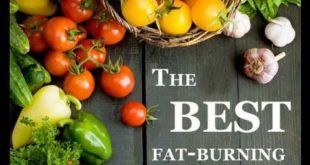 Green leafy vegetables like spinach, collards, turnip greens and mustard greens. Vitamin C rich fruits like Apple, papaya, pineapple and citrus fruits. It is important to note here that taking proper care of your skin goes a long way in preventing blackheads and getting rid of them altogether. As soon as you see these blackheads appearing, get hold of the above blackheads removal tips and tricks to get rid of them. 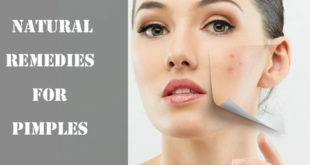 These may lead to more pimples and acne on your skin if ignored for too long and hamper with the beauty of your face. 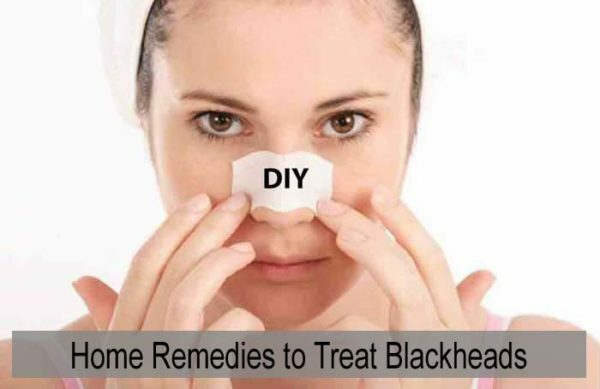 There is no medication responsible for getting rid of blackheads so it is always better to get hold of the above natural methods to remove them. Previous How to Get Rid of Redness on Face Naturally?